Our beloved 3D website, Gogofrog, was featured under the spotlight at KillerStartups recently! Don't miss their review by clicking here. "It’s like a virtual tour of your life. You can invite people to visit your 3D room (they don’t have to their own Gogofrog room to do so) and also chat with visitors...Gogofrog is more interactive and more fun than other sites that let you build a personal profile. It’s like having a virtual museum dedicated just to you." If you're based in the West, there's a good chance you haven't heard of Gogofrog, the Web-based virtual world based out of Australia. "You probably wouldn't because of who we are and what we've been doing," said Gogofrog Founder and CEO Vincent Teubler. "We've been keeping very much to ourselves and not spending much money on advertising." All that is getting ready to change. Gogofrog didn't start out as a plan for a virtual world. It started out of Teubler and Creative Director Lorenzo Lorefice's desire to do something different with their IT recruiting company's website. "99% of Web pages are just brochures," said Teubler. "People aren't going in and interacting or transacting. They're just looking at the furniture and the directory. You find a lot of sales people looking to just find who to contact. I thought, let's do something different. Why don't we look at a 3D play?" Within a month the website was drawing between 30 and 40 thousand hits from the IT space just for the originality. That's when Teubler and Lorefice decided to go bigger. "We put a front end on it, and it's effectively a metaverse spawner," explained Teubler. "We look at it, and it needs a lot of beta testing. We're in a part of the world where we're not coming from the MMOG side and going to the business side. We're coming from the general consumer side. We want it to be 100% browser based. If someone has to download some software to get into the website, it's difficult from day one. That's our mantra from day one that browser-based is number one. We develop in Flash because 99% of desktops have Flash sitting on them." Now Gogofrog is on track to see 1.2-1.5 million users for the past twelve-month period and, three years into the project, boasts 11,500 user-created sites, ranging from art galleries to small businesses to high school student organizations to lawn bowling groups. All of those users have evolved from the original group of 30-40 testers without advertising. "We then go ask them questions about 'What would make this a better space?'" explained Teubler. "We've got enough people now to get a good number of responses, 1000 responses from actual users. All those elements of getting the beta out there have been very positive. That's taken us to about 3 months ago. We haven't focused on the marketing per se. There's a part 2 to the development, and part 1 was making sure the development was absolutely rigid. Being browser-based, we have to make sure there aren't issues of people getting to us. We've looked at all the user feedback and constructed the phase 2 development and started working on that. Given that we're already browser based, it's pretty exciting in terms of the next year of what we'll be launching." Teubler says that the world is a minimum of three months away from that commercial launch and a maximum of six. Entirely self-funded so far, Gogofrog is now looking for investors and has developed several strategic relationships that are influencing a likely move to a new international headquarters. His focus, though, is on rolling out new features. Most of them have already been embedded in the code, but Teubler sees the bigger question as being how to give users access and control over things like uploading media, live video and voice streaming, telephoning in and out of the world, and commerce. "I guess the overall direction and strategy for the next three to four months apart from the myriad of stuff that's on the development roadmap, and there's a lot of exciting stuff, is how we're differentiating ourselves," said Teubler. "It's nice to be browser-based, but that's as much just a function of where we've come from and gives it a greater usability, but it can't be your raison d'etre. There's got to be something more." One of the things Teubler is most excited about is the worldwide network of Flash users and developers that he's connecting. While Second Life requires users to learn a new scripting language, there are already over a million registered Flash developers that can immediately build content for Gogofrog. All of them can then sell content over Gogofrog's real-money transaction system. "Because of how we're coming at this with people building their own private spaces and choosing whether or not to link up, you've got to think up an economy around who our users are," explained Teubler. "It may not be that the elements are actually the same. That's an important discussion with our strategic partners. Let's not follow suit with everyone else where real estate is the full basis for our economy and having a virtual dollar. Why not just make it a real dollar from day one? Take out that whole virtual world dollar and the translation point. Let's just see if that's a viable proposition. We're putting a lot of thought into that where the economy will be more closely aligned with traditional websites." It seems like the demand from users is there for a simpler system., says Teubler. It makes it simpler when some users want to sell virtual content and others want to sell real world products as in a traditional website. "You're going to be wrapping it up and sending it somewhere, so you don't want to get paid in Gogo dollars," Teubler said. "Having it mixed, makes it confusing. You pay real dollars, end of story." The economy system is in place, but not currently available for users. The only portion that's been rolled out so far is a donation system. "Every day we get a donation from people who are using Gogofrog for a commercial site," said Teubler. "Obviously they feel guilty because we're not charging them anything. We get donations 'For the sake of Karma, here's $100.' Thanks, I feel guilty, but any $100 is better than none. Hopefully we'll have more of a robust economy than purely donations." Teubler looks at Gogofrog as "metaverse light," a sort of introduction to the 3D Web that people might then move on from to enter more immersive worlds like Second Life or There. "I don't subscribe to the idea that ultimately there's going to be one large metaverse that absorbs everyone," said Teubler. "I've heard the theory that one person will become the 3D internet. Do the words 'horseshit' mean anything? There's likely going to be 1000s of 3D Internet plays. You look at the different angles for the metaverse roadmap, everything from medical treatment that requires specialist concepts and approaches that Second Life isn't doing and we're not doing. There's going to be companies that handle all the specialized concepts that the metaverse can handle. That's fantastic. We don't have to be all things to all people. We've got miles and miles of breadth to the levels of immersiveness we can bring. Clearly we haven't been focused on content development. We're still using Flash 6. You can assume the next levels will bring it up." With Adobe as an active supporter, that increases the likelihood of seeing some serious business applications. Teubler points to AIR, Adobe's cross-OS runtime environment as a major benefit that could eventually lead to integration with some desktop software in the virtual world. "We don't have to think through all that," explained Teubler. "Once we've got the open content philosophy, you've got a million plus people thinking it through for you. When Second Life opened up content for development by its users, they didn't have a million developers. They had none. People had to start figuring out how to build content for Second Life. When we open our content up, there's a million people in day one. And Flash ain't rocket science. I think there will quickly be another group of people looking to work with it for their specific needs." APLINK, a.k.a. Andrew Peters has just had an important call from the Australian High Commission and in the background are “frog like” obscene sounds emanating from my MacBook. How hard to keep a straight face and be serious with my homeland officials. These are the sounds emanating from the gogofrog websites homepage. During the “State of Play” Virtual Conference I had the opportunity to hand my very last very badly mangled Pacific West Communications business card to the Founder of gogofrog, whilst I blushed with embarrassment, in true Aussie style he withdraw his own business card from his wallet and swiftly screwed it up…unfolded it and handed it to me with a “she’ll be right MATE” Rapturous laughter erupted and along with his business partner, Lorenzo from Japan, the gogofrog story began to unfold. Due to Singapore’s stringent censorship laws I am unable to repeat that which was discussed with a beer in our hands beside the Pan Pacific’s swimming pool so instead I later sent Vincent an email to get his view on Virtual Worlds and how gogofrog will emerge over the months to come… To my knowledge the gogofrog Virtual World is the only one which does NOT require a MASSIVE download or separate login process to enter the 3D world, just point your browser at gogofrog and with a few clicks of the mouse you’re in. gogofrog is recognised as the pre-eminent browser based 3D internet service provider to the broader global business and consumer market. That the Gogofrog Hub (the independently Gogofrog controlled and linked central Virtual Space that links to the millions of global user defined virtual spaces) is operating as the centre for all commerce to these Users and their avatar visitors. That the global Flash developer community (exceeding 1 million active Flash Developers) are actively engaged in an open content development economy across the broader Gogofrog Metaverse. That Adobe, as developers of Flash, are active supporters of Gogofrog as it provides a global medium for their development community to practice and engage in commerce using Adobes products and additionally through this introduces a massive global internet user community, to the power and capability of Adobe products. The challenge which Gogofrog has been working on to date and has now successfully overcome, is the development of a browser based Metaverse concept. If you think about it, any social and especially and business focussed virtual world be that Gogofrog or Secondlife, ultimately needs to be browser based. A social space that can’t be used from work is a big problem and a business focussed virtual world that can’t be accessed from work is simply unusuable. Why? Because the vast majority of business computers around the planet will not allow people to download executable software. Thus unless the metaverse is browser based it simply will not be a useable proposition. Let’s face it, the Myspaces of this world work as social spaces because people can and do link in through work. Think how relatively hard it is to get your friends much less new visitors and potential friends, to meet you in a virtual space, if the first thing they have to do is one, wait until they get home from work, then download a whole lot of software and signup to be a member… it isn’t a realistic proposition in the ‘real world’ much less in the instant gratification of the online world. Accordingly the central premise to all virtual worlds ultimate success has to be them becoming browser based. Our social vision and development efforts has been governed above all else on making Gogofrog a browser based virtual world our number 1 priotity. To be a truly open social space it needs to be. Having achieved that we can now look at the following to take our social vision further. Building both an economy and open content development platform that will allow visitors to both build and trade in their content and enable an almost unbelievable ramp up of the overall immersiveness of our current naive virtual environment and avatars. Bottom line here is that our focus to date has been on the engine and now we are moving forward on the economy and content with some very powerful and influential partners (sorry could tell you but then I would have to kill you, stay tuned for further announcements) as well as looking to tap directly into the million Plus global Flash developer community. We have a small handful of developers helping us with our current content (which is more about proof of concept)… imagine when we add a potential million more developers and the underlying economy to enable them to trade on their expertise within our spaces. Concurrently we are building out the functionality available to users and their avatar visitors. Let’s face it in the Gogofrog world people can play socially in 2 ways. They can connect socially in The Hub (which is our central virtual space that connects to all user spaces) or they can build their own closed virtual spaces where they can create their very own and indeed if they want ‘invite only’ social networking space. So you can have a school group or group of friends or business colleagues or sporting associates, meeting in their very own virtual space without other and potententially unwanted avatars/visitors wondering into their virtual space. To take this User defined social virtual world further we have developed and are currently testing all new avatar communication mechanisms. Avatar to avatar voice and webcam (seperate or joint) communication. We have it working already so testing is what we are doing now and it is all still fully browser based… no dowloads at all. What this spells is a whole new realm for virtual world communication and very much a change in the whole paradigm of the social restrictions and constraints of the existing virtual worlds. Let’s face it, it is hard for someone to pretend to be a 18 year old girl when a click on that avatar allows both voice and visual verification of who that person is in real time. These functions will be User defined of course… so what it means is that people will be able to freely see and interact in Gogofrog social spaces largely as they do in the real world and not in any way have to worry about pretadory or antisocial behaviour within virtual spaces. We are about making the virtual world as close to reality as possible. We go by the tag line Gogofrog: Advanced Social Networking and that’s what we are delivering. Any industry that is could benefit from a virtual showroom or a virtual meeting room that they want to link to their current 2D webspace or for that matter any company at all that wants to put a toe into the world of virtual spaces but without the drawbacks of software based virtual spaces and without the drawbacks of significant entry costs for real estate or content. 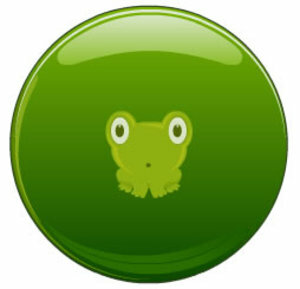 For that matter any brave company with a very savvy client demographic could shift their whole web presence to Gogofrog as we do have a 3d to 2d switch that enables visitors/avatars to instantly flick to html 2d representation of the companies web space, if the whole virtual space concept is too much for them. 4- Which countries are gogofrog targeting and why ? Asia markets without a doubt. Currently Gogofrog is available in English and Japanese and expect many more dropdowns in the language boxes. But Asia is the focus because at the end of the day half the world’s population are here and they are all pretty internet savvy. US is important but bottom line is Asia as the big target. Ohh yeah… coming at you real soon along with the announcements on content development partners. However that said, don’t forget that browser based still is the the central focus and keeping it real in so much as voice and webcam commiunication. At the end of the day current avatars in other worlds are very gamey. We will be sticking to a diet of real… so expect your face on your avatar rather than a cartoon representation. STG (Sell To Google) no seriously that is the long term strategy… no seriously, the revenue mode is based around building Gogofrog’s overall economy and the trade of content there-in. Announcements due in the not to distant and expect that you will go “ahh yeah that makes sense” when you and others see the economy model we are building and launching. Already possible and already being done. www.tra-group.com is a regional IT recruitment services company. If you look on their contact page you will see at the bottom…’virtual meeting room’. I have it on good authority (I am the CEO ;)) that they undertake a few interviews for interstate and international candidtes in there. Beats the high cost of video conferencing and they are looking forward to the webcam and voice avatar release to make it even more real. Yep… voice and webcam are not only being considered but built and done and being tested, it should be in beta in the avatar communities in the not too distant real future… and virtual one too. 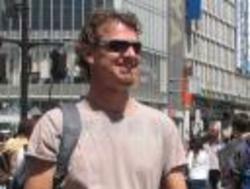 much thanks to Vincent Teubler - ceo & founder - gogofrog (pictured below) and Lorenzo Lorefice - gogofrog. 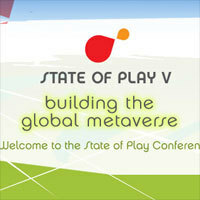 The 21st August marked the beginning of "State of Play", a conference on virtual worlds held in Singapore. The conference brings together experts around the world to discuss the future of cyberspace and how it affects us on all different levels. Gogofrog formed part of the 2nd day of State of Play, alongside mentions of Second Life, There.com and HiPiHi (Chinese version of Second Life and There). Click here to find out more details. The number of these virtual places seem to be growing day by day! 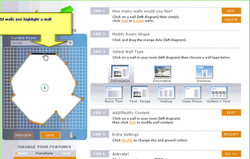 Do a search on "gogofrog" in Technorati and you get a feeling of the growing popularity of creating your own 3D virtual space. What comes up on top of this search is an opinion saying that scrolling through the flat pages of MySpace, Hi5 and the like are becoming a tad boring. Hmm...I'd have to agree! It's an increasingly 3-dimensional virtual world out there that I'm really starting to love. I reckon Gogofrog is a natural step up from a simple social networking site like MySpace. I mean, you're walking around, chatting with people you can actually see, all in a 3D room! And the rooms and walls you're in, they hold just as much personality as the people who created them - people like you and I! It's a beautiful thing. I'd love to see more personal 3D spaces popping up on the net! The word is spreading - FAST! Gogofrog has enabled many thousands around the globe to create their own virtual 3D space, and is becoming a well-known name throughout the online community. Recent articles from I Write L.A. and Playfuls.com have made worthy mention of Gogofrog among names such as MySpace, YouTube, Second Life, and Sony PS3. For those who have yet to taste the Gogofrog experience, click here to sample how easy it is to set up your own personalised virtual 3D space! Keep an eye on the Gogofrog folks...social networking is about to take on a whole new meaning . PS Bloke takes his family to the zoo, there was only one animal. It was a shitsu. Look around you. Things manifest in three dimensions. But why not the Web? TV will soon be 3D. PC screens will then follow. In the meantime, there's Gogofrog.